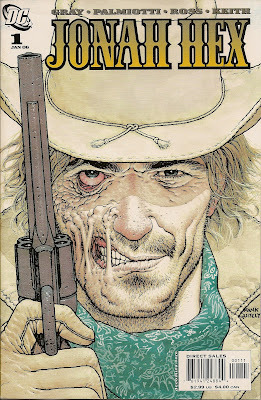 Matching Dragoons: Jonah Hex V2 #1 - "Giving the Devil His Due"
"the details of the characters so that you know who he is copying them from (Clint Eastwood is Jonah Hex) but it is so well done, you don't care." ...just as Paul Gulacy had done thirty years prior in Master of Kung Fu. 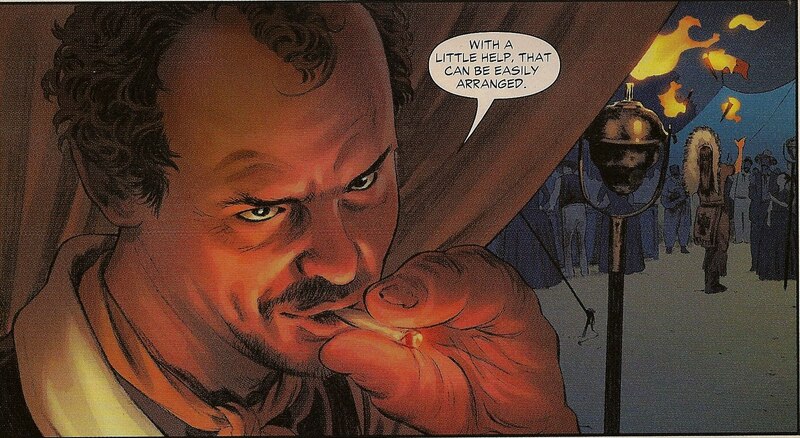 I haven't read any "new" comics since 1998, but being rid of those goopy captions makes for a refreshing change. I recently read a 1980 (#143) Chris Claremont-written Uncanny X-Men and was disgusted at how he poured so many useless words over that Byrne-Austin majesty. "Show, don't tell", Chris! 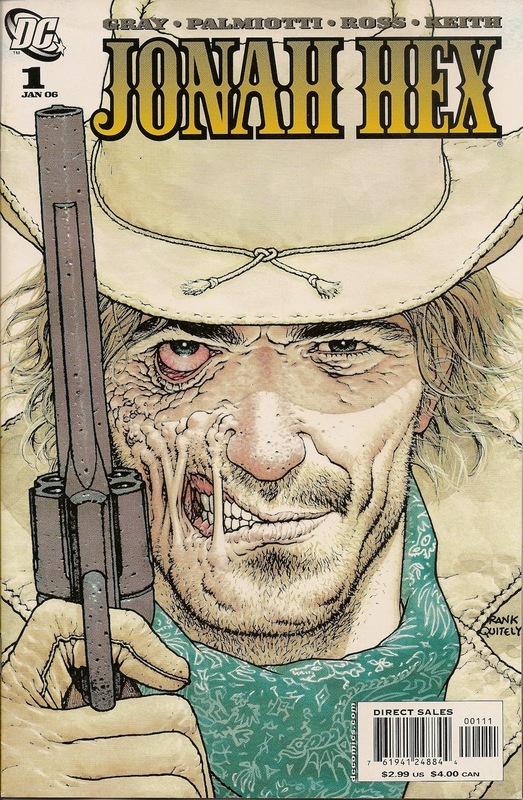 I have to admit that quite often I read Jonah Hex V2 out loud, just to enjoy the flow and lilt of the captions & dialogue. Glad you have you back in the reviewing saddle, Dwayne! Don't blame you for ditching on the Vertigo stuff, as it was evident that you weren't enjoying it to any degree. But now we're up to the series that helped to redeem Jonah's reputation...yay! The Vertigo stuff....The Vertigo stuff. 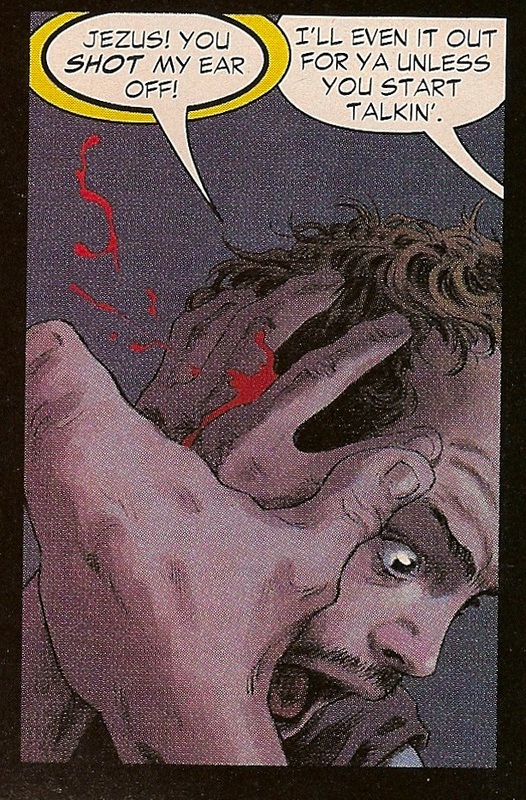 I am so very very conflicted on the Vertigo stuff. I KNOW what they were trying to do, something adult, edgy, dark humor, gross, ya know...EDGY!!! 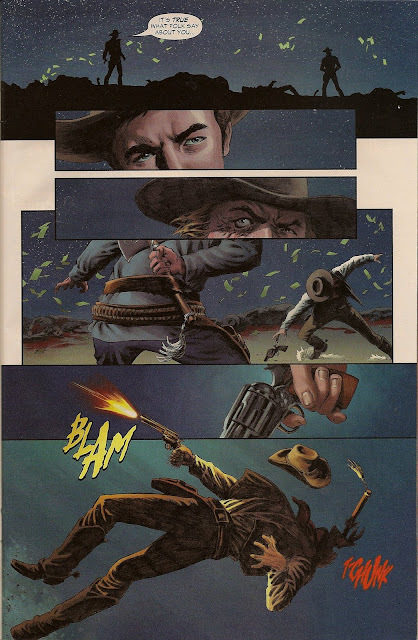 The idea was great, but not unlike the gay Rawhide Kid, I think the whole thing did more damage than expand the character. Just look at the 'influence' that it had on the film. This first issue was simply stunning. 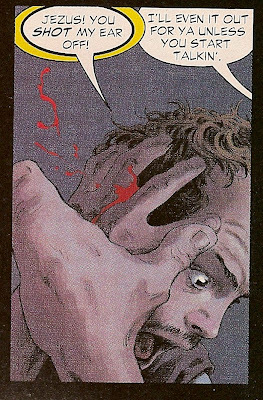 From the Quitely cover to the interior art, it was beautiful. AND a helluva story.